What do a glass of milk, a sponge in the sink, and a refrigerator have in common? THEY'RE ALIVE with bacteria, mold, and kitchen chemistry possibilities. 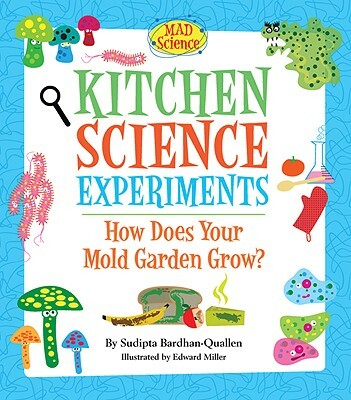 The kitchen is a perfect place for budding mad scientists” to experiment. Kids 9 to 12 will have a blast using yeast to inflate balloons; making a fish mummy; growing a mold garden; and removing an eggshell with kitchen science experiments! Every topic features sidebars, illustrations, photographs, and extension activities.